We can tell you about the Italian “good life”, la dolce vita, but, until you experience it for yourself, all the explanations will seem empty. What is easy to define is the groundswell of interest in houses for sale in Italy that is being fueled by foreigners who have had a taste of that “good life”, and who would like to make it their own. 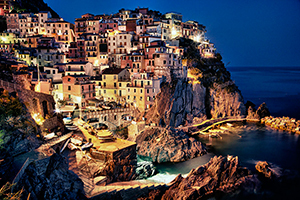 Here, at Gate-Away.com, we specialize in the interests of non-Italians who are looking at houses for sale in Italy. 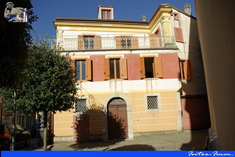 Houses for Sale in Italy: Inventories are Up, Prices are Down! 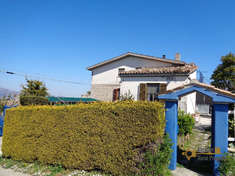 There are houses for sale in Italy, in Calabria, the “toe” of the Italian “boot”, and there are Italian houses for sale in “Il Nord”, “the north”, and there are Italian houses for sale everywhere in between. This is good news for anyone who wants to buy a house in Italy. Quantities of available properties, of course, vary by region, but we have a buyers market with above average inventories, and a market which favors qualified buyers. During the European economic upheaval, prices (and home values) have remained the firmest in traditionally popular areas of foreign investment, such as the Lake Como area, in Lombardy, or in the perennial favorite region of Tuscany. 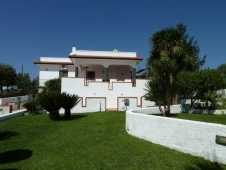 A wonderful climate and awesome geography, coupled with the history, art, and culture that the country has to offer, have made this a superb time to find houses for sale in Italy. What does it take to buy a house in Italy? Well, the negotiating edge is held by property seekers who are financially well-qualified, and who are prepared to act. In many of the less populated regions, and even in pockets of the more popular areas, prices are still “soft”, though that situation could be gradually changing. In general, it's still easier to buy a house in Italy in places like Basilicata, the “in-step” of the Italian “boot”, where the unsold inventory rates are higher than they are in other locations, like Milan or Venice, where prices never dropped as precipitously, and where the inventory isn't as swollen. While some foreigners are "set" on finding their dream home in one particular area, non-Italians who are still open to different areas would do well to consider some of the less "discovered" regions, which are also truly rich in all the amenities that make up the gracious Italian lifestyle. When we talk about Italian houses for sale we are encompassing a lot of ground, and we're speaking in a very broad sense. Each region has it's own specific identity, and this is why we, at Gate-Away.com, have tailored listings and buying information to suit various individual locations. For example, a recommended geometra (often the most valuable contact in the entire buying process) whose “turf” is L'Aquila, in Abruzzo, is not going to be the geometra an English buyer would hire for a home purchase in Ischia's city of Forio. The lawyer or lending institution that would be a first-rate choice for buying property in Terni or Viterbo might not be the best option for a home purchase in Parma or Bologna. 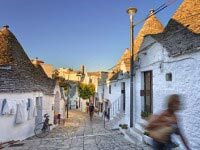 Among the houses for sale in Italy are a wide span of property styles, from the old stone trulli of Apulia to completely renovated vineyard properties in Tuscany's “Chiantishire”. “Houses for sale in Italy” may be an abundant commodity at the moment, but that won't last forever. Nature abhors a vacuum, and there is a slowly increasing pressure from foreign home seekers that is filling in the spaces in the Italian real estate market. This is an auspicious time to buy real estate in Italy. 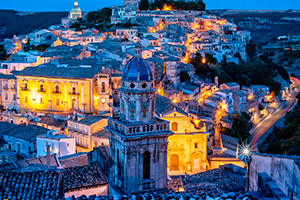 Attractive and/or “soft” asking prices are the norm in most regions of the country, and the selection of properties for sale in Italy is both abundant and diverse. With our exclusive focus on an international client base, we, at Gate-Away.com, are confident that there is something to suit each-and-every foreign buyer checking out properties for sale in Italy. As you can see in our Gate-Away.com real estate listings, there is no shortage of properties for sale in Italy. For example, if you are looking to establish yourself, instantly, as a hotelier in Rome, €26,000,000 is the asking price for a beautifully restored 25 bedroom luxury hotel in Lazio, with modern amenities and plenty of Old World charm. 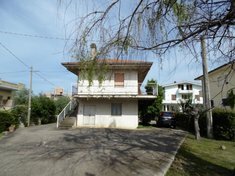 Conversely, if you'd prefer to buy something a little bit smaller, and if you don't mind getting your hands dirty, €7,000 will get you into a two-level, 46sqm, two-bedroom apartment in Molise that is waiting for restoration. In between these properties for sale in Italy, and scattered throughout every region of the country, are homes and properties of every stripe, from working cattle ranches to small commercial holdings to romantic ski chalets and seaside escapes, all of which can be accessed online through this portal. Real estate in Italy continues to draw the attentions of a world-wide audience, from Americans and English citizens, to Germans, Russians and a bevy of other nationalities, and this comes as no surprise. The current prices for real estate in Italy, in many areas, are at all-time lows, and there is a glut of available property on the market. In fact, properties for sale in Italy today may be the best collection of such offerings that has ever been seen. And, there is no need to conquer the country to get what you want. Italy welcomes newcomers with all the warmth and friendliness that you would expect from a land that fairly shouts la dolce vita! 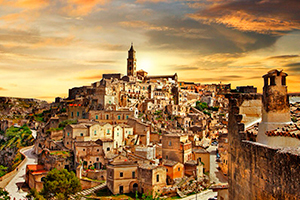 The value of real estate in Italy is greatly enhanced by the surrounding air of history, art, cuisine, and romance. It is, perhaps, beyond the realm of possibility to personally see every piece of real estate in Italy, but this portal will enable people to better focus their attention, which makes for better decisions being made when it comes to narrowing the choices among all the Italian properties for sale. Right now, you can find an almost infinite variety of Italian properties for sale. While prices have held their own in some of the main urban centers, and, indeed, some select spots are even showing a slight increase in prices, for the most part, the asking numbers are down, with some areas expecting still further declines. The country, however, along with many others in Europe, seems to be poised to make something of an economic comeback, which would herald a coming end to bargain prices. At the moment, many Italians are still unable to qualify for more stringent home loan packages, which has left the door open to foreigners who either want to relocate to Italy, or who wish to invest in income producing properties like hotels, rental apartments, and bed & breakfast establishments. It's never a good thing to rush into something without first checking it out, and this applies to buying properties for sale in Italy. For one thing, rushing around, unless you drive a cab in Rome or Milan or some other busy city, is contrary to the relaxed Italian style of living. For another, when you are studying the heady array of Italian properties for sale, you will realize that a carefully plotted course of action will, ultimately, satisfy you in a way that a helter-skelter approach can never deliver. Take the time, sip the wine, and your Italian Dream will become clear to you.